Not all that long ago the decision to amplify an acoustic guitar was driven by the need for it to be better heard on stage, and the choices for amplification were extremely limited. You could continue to use the venerable microphone, provided you had an able sound engineer to control the feedback potential. You could apply a piezoelectric transducer to the guitar and, with an adequate preamplifier and some careful EQ'ing, you could freely roam the stage with your 6 or 12 string. Or you could fit a magnetic pickup under the strings, secured in the soundhole, run the signal through any number of outboard effects, and change music as we once knew it. But that was then. 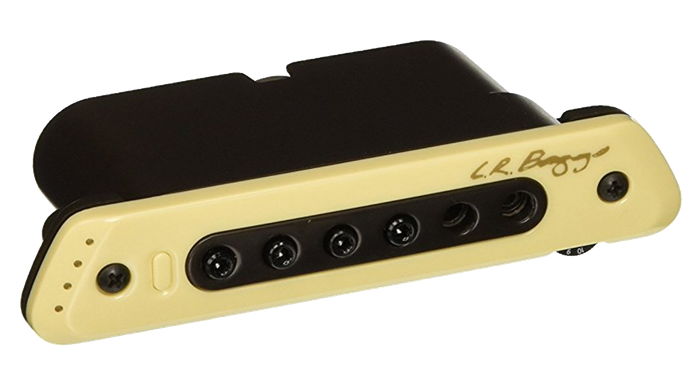 Today, there are staggering numbers of offerings of pickups, preamps, effects and P.A. 's addressing every need or scenario real or imagined. I am frequently asked for my opinion regarding brands, types, combinations, etc. Frankly, it is a challenge to keep up with the latest product releases. As a luthier, player and performer I have benefitted from being able to sample a large segment of the technology that pertains to the acoustic guitar, from the late 60’s to the present day. That experience does not rubber stamp me as an expert on the topic, by any means. It does, however, provide me with a fairly broad perspective of the subject matter (and I am not one to shy away from expressing an opinion or two). What follows is my attempt to summarize what I currently understand about acoustic guitar sound reinforcement. There are guitarists out there so pragmatic (you know who you are) that they have done the research, compared the features and benefits, weighed the consequences, made the decision(s) and moved on, having enjoyed decades of performing amplified. Others have never really thought much about it; they plug in their guitar(s) and, if their guitar is louder, they are satisfied. The rest of us are on some form of quest, a regal mission, to achieve a particular sound. Some know what they are looking for and may actually find it one day, others have only a vague idea of what they are after, and that will likely change over time, and the rest have nary a clue, but will spend years (and loads of money) searching for it. For some, such a quest is downright fun, while for others it is a source of constant anguish, a gnawing hunger, an unquenchable thirst, an insatiable appetite...well, you get the picture. And we musn't forget the gearhead in us all, who needs it 'cause it's new. If you listen much to live music it should be relatively obvious that not all professional musicians believe they need to accurately reproduce the sound of an expensive acoustic guitar via a pickup in a live setting. Some of the guitars used are downright stunning to listen to, amplified, but leave you wanting when the power goes off. Others are just plain awful, with or without a pickup. Some musicians don't need a great sounding guitar to make great sounding music. Others have fantastic sounding instruments and their music is horrible. And every now and again, a guitar/pickup/gear combination sounds so good you just have to try to reproduce it, yourself. In the event that you are not aware, opinions vary widely on the topic of acoustic guitar amplification in general, while the subject of pickups, specifically, often sparks heated debate. But consider this: a given consensus may be formed under an entirely different set of circumstances, potentially having non-applicable criteria, and it would benefit all but the most casual of buyers to know the difference(s). Put another way: My ears are not your ears. Your volume-level needs are not mine. My need for feedback control does not apply to you. Your notion of convenience means nothing to me. You could hate the sound of your guitar, while I think it sounds great! I may prefer the color added by a given pickup, pre-amp or effect, while you only wish to hear the sound of your guitar, just a lot louder. It is simply unaffordable to purchase every available piece of gear just to see if we like it, so we need to rely on reviews and opinions. But remember, the factor(s) that may be influencing my decision may not apply to you. Magnetic pickups for acoustic guitars are not new, with early versions appearing in the 1930’s. They are, essentially, variations of their single coil and humbucker siblings from the electric guitar world. A passive magnetic pickup is often described as having a more natural (organic?) sound, taking on some of the characteristics of the instrument, but is very prone to hum, feedback and something of an irregular (not-so-balanced?) frequency response. An active magnetic pickup overcomes much of the drawbacks of it’s un-powered sibling by adding a replaceable power source and, often, some pre-amplification. In so doing it takes on another character altogether, tending to sound very similar regardless of which instrument it is installed in (the pickup, not so much the guitar, is what I hear amplified). Being active, there is the additional matter of having to replace the battery. The more popular versions of magnetic pickups are soundhole mounted, where a few take the form of so-called body sensors. I have/had nearly all of them, and have invested countless hours in manipulating soundhole positioning, pole piece presence and height, preamp combinations, etc. I most definitely prefer some brands/models over others. I also conclude that, when considered all by themselves, magnetic pickups still sound like magnetic pickups. For soundhole pickups in particular, fingerstyle players have to learn how not to hit these things with their nails, and most units tend to add a lot of weight to the guitar. These are not bad things, but they are things to consider. 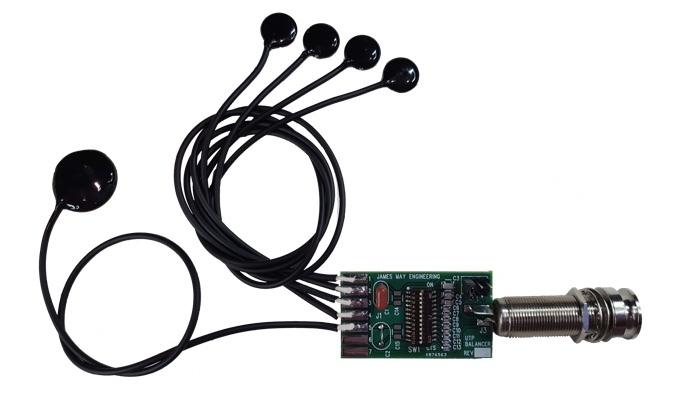 Piezoelectric transducers sound like piezoelectric transducers, whether in the form factor of an Under Saddle Transducer (UST) or a SoundBoard Transducer (SBT). The well-known piezo quack is more pronounced in some pickups than others. In various attempts to diminish that effect, manufacturers have introduced their own enhancements. DTAR believed a secret was to be found in adding headroom (requiring more power), Baggs believes a secret is in track top motion as opposed to direct string attack…caused by compression . 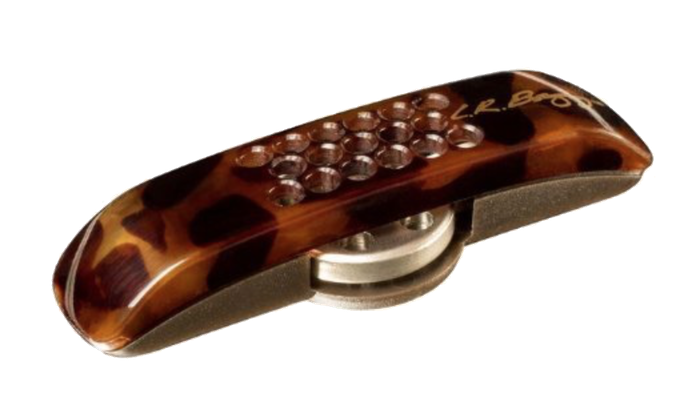 Barbera incorporates individual piezo crystals directly into a proprietary saddle design, resulting in a passive pickup having a very hot signal. The list goes on, with each manufacturer supplying their own sounds better than… solution. Piezo-based pickups, UST’s in particular, are highly regarded for their ability to endure relatively high stage volumes without feedback, and to cut through the mix , a feature worthy of serious consideration for group players. As with the magnetic pickups, I have my favorite piezo pickups. 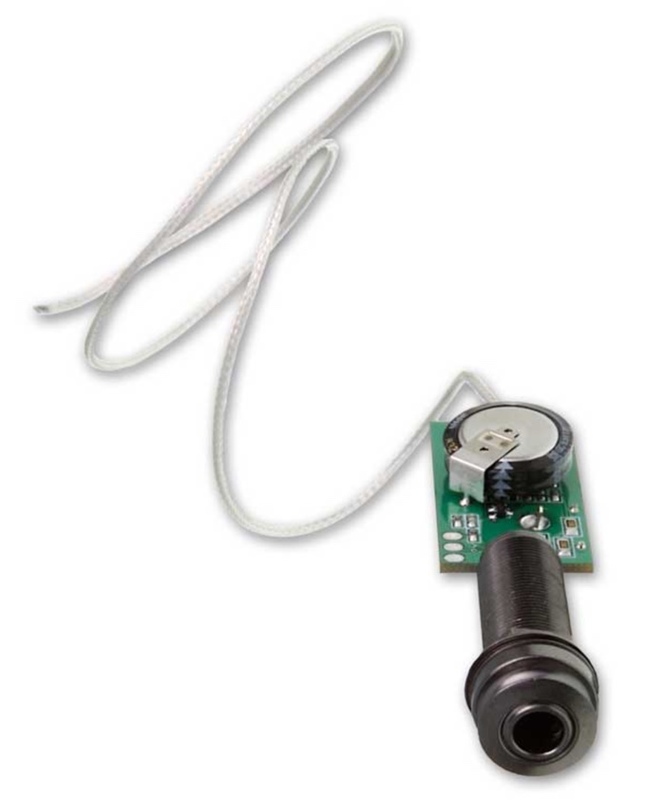 As ubiquitous and convenient as they are, I am resigned to the fact that piezoelectric transducers, considered all by themselves, still sound like piezoelectric transducers (did I already say that?). That’s not a bad thing, but it is a thing. Onboard microphones, mounted inside the guitar, add so-called air for a more realistic sound, yet have been prone to horrific feedback at higher volumes. 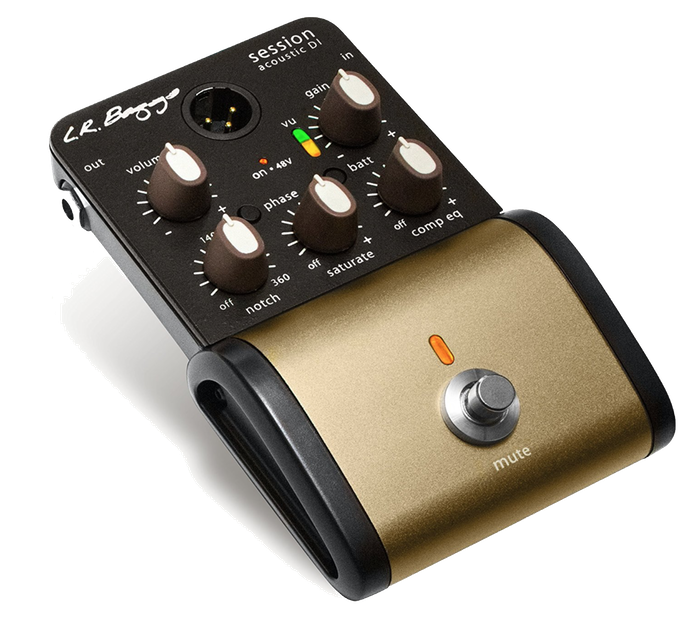 The Lyric, from LR Baggs, is a recent departure from the traditional internal microphone approach. 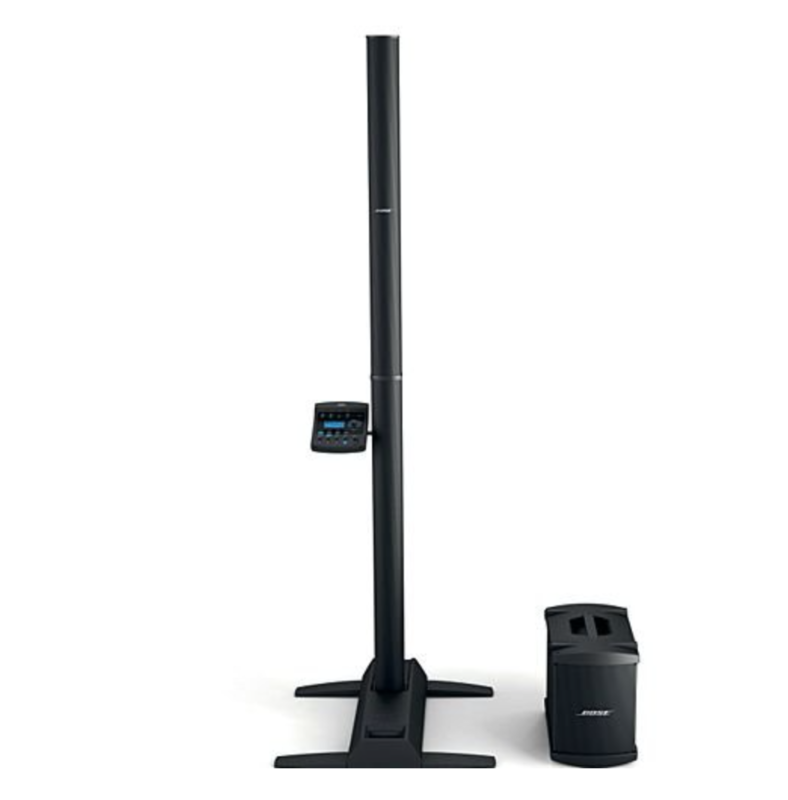 An active system, it mitigates feedback relatively well while still providing for a very natural sound. However, many don’t care for the perceived lack of thunderous bass response (especially at higher volumes). 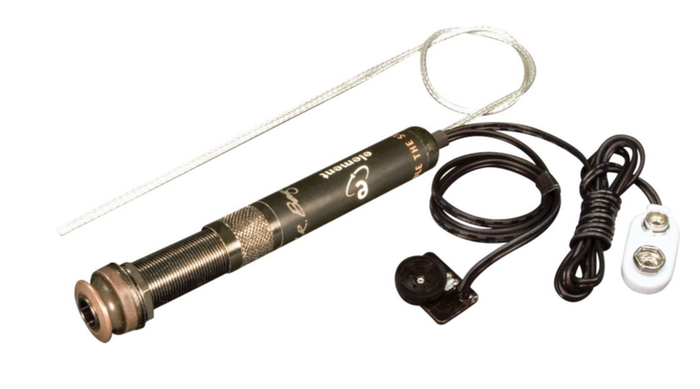 Externally mounted microphones overcome much of the feedback danger by simply not residing inside the box, and typically offer a more precise frequency response, but present some issues of their own that make them less appealing for the masses: One still must be mindful of positioning and volume, and they (the good ones) are not inexpensive. Need I add, again, that none of these are bad things, but they are still things. Many of today’s most appealing pickups are dual or triple source combinations of magnetic, piezo, and/or microphones, along with built-in and/or accompanying preamps. This list is large and constantly changing, as manufacturers and/or players experiment with new combinations. By taking a highest and best use approach, blending two or more technologies can often yield a much more accurate representation than can be had from any one technology, alone. Today, it is relatively easy to get an appealing reproduction of the acoustic guitar using any number of these products. That was not the case just a few short years ago. One of my favorite systems for many years was an LR Baggs Dual Source that I had installed in my 1976 Guild F-50R. It combined a UST, a miniature mic affixed to the inside back of the guitar, a battery-powered preamp with a soundhole-mounted blender and volume control. I performed with that setup in small venues for more than a decade, and always had compliments on the quality of the overall sound (playing through Bose 802 speakers helped with that, I’m sure). But I had to be ever mindful of the volume and positioning in order to avoid feedback. There was something rather unique about that particular guitar/pickup system install, something I have never quite been able to reproduce. But I keep trying! I lean heavily upon pre-amplification to shape a pickup's sound. Some pickups absolutely require the use of a preamp; you won't hear any sound without one. Many pickups may be plugged directly into a mixing board and will produce some sound, albeit pretty awful. While a few will provide a passable sound by themselves, most (if not all) pickups, including the high-end externally-mounted mics, will benefit from the addition of a preamplifier. In addition to matching the input impedance of a given pickup, boosting it’s signal, and providing some form of equalization, many preamps add features such as sweepable mid-frequency EQ, a notch filter (a straightforward parametric eq for cutting an offending frequency), phantom power (for powering the preamp itself, and/or for use with condenser mic’s and/or pickups having phantom power capability), boost (for soloing), a tuner, and proprietary sound shaping. Acoustic guitar preamps come in several shapes and sizes, and are either onboard (endpin jack mounted, side mounted (barn door), or attached to the inside of the guitar) or outboard (separate from the guitar; a footpedal or rackmounted). 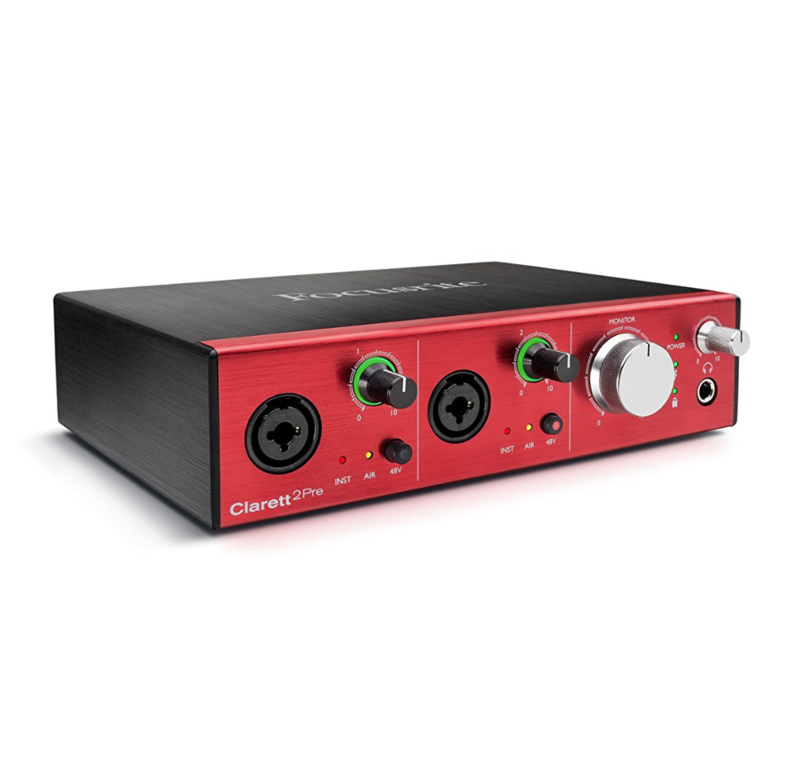 Onboard preamps tend to sacrifice features (and, dare I say, quality) in trade for lower weight and cost, but there is a convenience factor that is hard to argue with. An onboard preamp will mount somewhere on or inside the guitar. The more feature-packed preamps are typically of the barndoor variety. These units mount on the side of the instrument facing the player and are impressively convenient to use, though they require cutting a rather significant hole in the guitar. Other offerings include a small circuit board that may be affixed inside with hook and loop fastener. Still others offer an endpin jack/preamp combination that requires no additional installation of any kind. Outboard preamps are typically more expensive, and include more (and/or higher quality) features. These units can range from a couple of hundred dollars to the price of a nice guitar! Still, they only take us so far. They are one more piece of gear to lug around. Most importantly, a preamplifier does not overcome the fact that a pickup is still a pickup. Note that while most, if not all, acoustic guitar amplifiers contain a built-in preamplifier, some players still prefer to use an additional onboard and/or outboard preamp in the signal chain. Others are quite happy with the sound shaping/control offered by the built-in solution in their guitar amp, and no other gear is required. 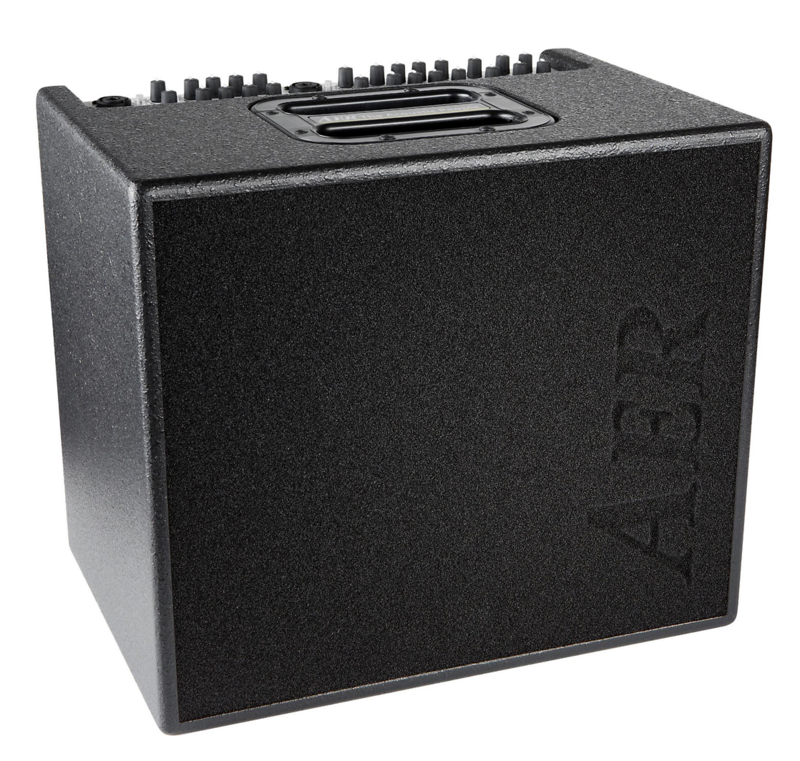 A good guideline for purchasing and amp is to think through your input and output requirements. The simpler your needs are, the less money you are going to need to spend to satisfy them. The clearer you are regarding your own requirements (present and near-future), the more satisfied you will be with your purchase. Would I be satisfied with a single channel amp, or would I need a second channel (such as for a second pickup in a dual-source pickup system, a second instrument in a duo performance, or a vocal input)? Would I need an additional input for an iPhone or iPad to play backing tracks? How much power would I need or want (generally speaking, power translates into volume, so how loud do I need to be)? What level of fidelity am I hoping to achieve? What kind of signal would I need to process, and does that signal have any special needs (such as phantom power requirements)? Can my signal processing needs be addressed by an outboard preamp, letting my amp just do what amps do best - amplify? Would I require built-in effects (such as reverb and chorus), or would I be adding more outboard gear to my signal chain (such as effects pedals)? What are my electrical power requirements (would I always have access to an electrical outlet, or would I need battery support)? I acquired a Bose L1 Model II with the Tonematch engine (mixer) and B1 subwoofer soon after it came out, and have used it extensively. Compared to the 802's and the rack of additional equipment that accompanied them, the L1 is an extremely portable line/linear array-style system, providing exactly what I need in a P.A. (wide dispersion, even frequency response and directional control for super-clear sonic coverage of my audience) and produces just the right amount of sound for the world I live in and frequent. For Bose, it was a lonely genre for many years but that has changed. Today, with products available like the JBL Eon One, Peavey P2, Electro-Voice Evolve 50, Turbosound iP2000, LD Systems Maui, Gemini WRX and more, it is clear to see Bose's variation on the conventional stereo loudspeaker theme was a good idea. What matters to you in a P.A.? Volume? Clarity? Flexibility? Portability? In what combination and priority? As with the guitar amp, narrowing a purchasing decision gets much easier once you have identified what your needs truly are. Originally designed for recording studios, Audio Interfaces provide the link (or interface) between your analog sound equipment (pickups, microphones, etc) and a digital recording environment such as is available on most computers. In addition to being required in order to use a computer to record your guitar and vocals, if you are looking for a device that will carry your pickup signal through a preamplifier and let you monitor the output through a set of headphones, then an Audio Interface may provide just what you need. They are available in every shape and size, with I/O counts ranging from a single line in to dozens on larger models. They come in two form factors: desktop and rackmount. At some point, the line between consumer versions and pro/studio versions of these devices gets pretty blurry. 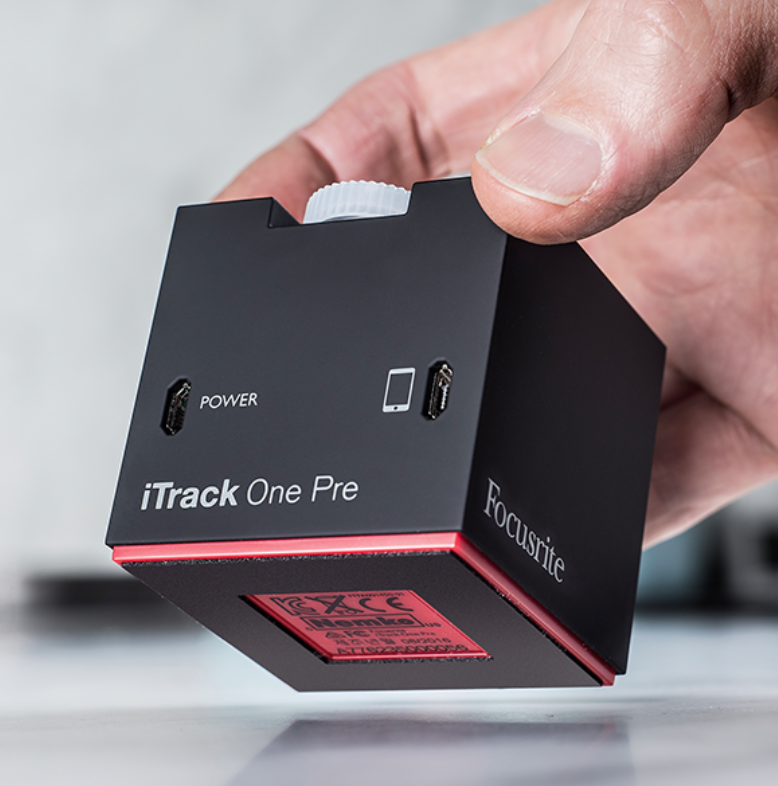 You can invest a small fortune in a single Audio Interface. I happen to have several Focusrite and Apogee products, which fall somewhere in the middle in terms of cost, and work just fine for me. The concepts of digital sampling and imaging have dramatically altered the sonic landscape. Suddenly, digital keyboards (or keyboard controllers with sound modules) can sound like vintage analog synthesizers, and footpedals, rackmount devices, and computer plug-ins can provide vintage analog amplifier sounds (in many cases indistinguishable from the real thing!). Even microphones have joined the revolution! Fishman introduced the Aura, an imaging solution for acoustic guitars that offered the ability to play one guitar, but have it sound like another - in real time! Several years ago I plugged an Ovation Elite into one of the early Aura pedals, selected a Guild F-50 jumbo image, and enjoyed the dropped-jaw look from my wife as it dawned on her that what she was hearing did not fit what she was seeing. 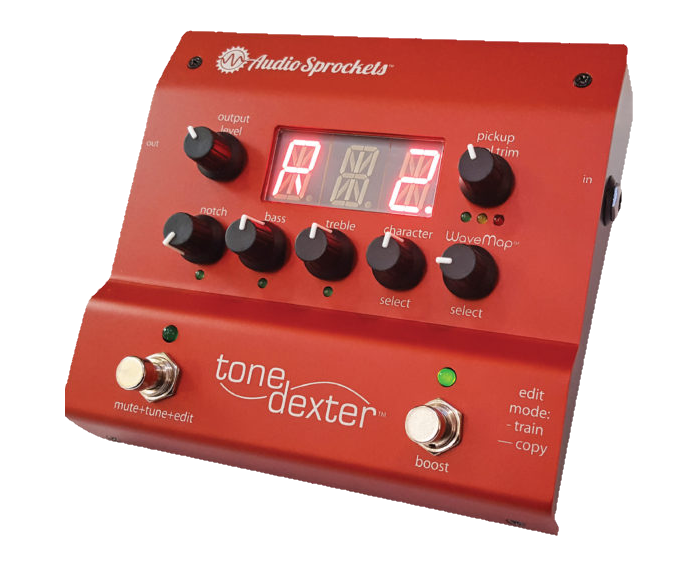 As of this writing, Audio Sprockets has recently re-released the ToneDexter. Advertised as a new preamp… that restores the missing body sound to an instrument’s ordinary piezo pickup , this footpedal sets a new standard. Plug a guitar outfitted with a simple piezo pickup (UST, SBT, other) into the ToneDexter. Plug a microphone into the ToneDexter. Select one of several slots (storage locations), tap a button and begin playing. ToneDexter will listen to both the mic and the pickup signal, correcting deficiencies in the pickup signal (contrasted with the microphone signal) and store it as a WaveMap. Put the mic away and, with the ToneDexter in the signal path, your amplified pickup takes on the characteristics of a mic’d guitar. For those who have a battery-dependent active pickup system in their guitars, there may be nothing worse than battery failure during a performance. For some, it could be a judgement call to risk failure and not replace the battery prior to curtain call. In some cases that means removing the strings. Are there alternatives? Trance Audio’s Amulet M Phantom removes the need to worry about battery failure by relying on phantom power, albeit you are obliged to use the Amulet pickup system. A relatively new player in the market, Mi-Si has introduced another potential gamechanger. By combining a low power onboard preamp with new energy sources (a capacitor) and an endpin jack, a battery-free solution is created for active pickups. A 60-second charge using a specially-designed 1/4″ plug (or a 9-volt battery, if there is no electricity nearby) provides 8 to 16 hours of play time. 60 seconds is all that is needed... I have tested it, and it really works! If, for some reason, you fail to invest the 60 seconds prior to your gig, you could be punished with having to recharge it. But then, you would probably have been that player that had to change your battery in the middle of a set, anyway.